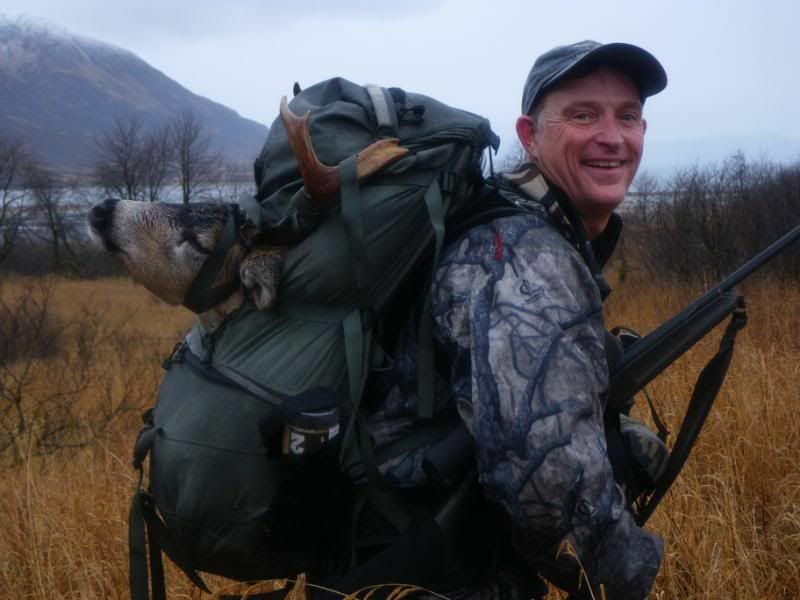 I'm looking for a new hunting pack for sheep and for a Griz hunt next April/May. Right now I'm looking at the Cabela's Extreme Alaskan Outfitter Pack with Frame, Cabela's Ultralight Extreme Hunter 5000 Internal Frame Pack and theGS05 Gunslinger pack by Eberlestock. Does anyone have any experience with any of these packs or can suggest something? I want one that will hold my rifle so I can walk the hills and have both hands free. I am short so proper fit is important, I'm 5' 5". MIght take a look at the Eberlestock Just One or J107 pack, they have a bit more capacity than the Gunslinger. The cabelas frame pack has plenty of fans up here though most that like frame packs and hunt a lot find it worthwhile to step up to a barneys or at least replace the cabelas frame with a barneys version. I don't know what your goal is for the 5000 cu inch internal. To me it is small for most uses beyond just weekend hiking trips. With your small frame you could probaby do well w/ a 6500 since your gear won't take up as much space. If you want a good compromise just buy one pack from mystery ranch, the Nice 6500 which will haul a load like an external but fits like an internal and is modular so you can configure it to suite the situation. As for the gunslinger pack it would be too heavy to pack along up the mountain with you so it would really be best served as a base camp or day hunt bag. For that purpose there are better bags in the eberlestock stable. I have their X1 pack and it is my go to moose hunting daypack. The only reason to consider a gunslinger is if you are using a rifle like an AR with optics that cause it to be too big to fit the scabbard on the X1. I've got a Badlands pack that I've been using lately for my day hunts. The thing about my day hunts is they usually involve haulin out quartered deer. So my pack is getting loaded. I find it very comforatable and fuctional while hauling through the rainforest. It doesn't offer a gun slinger or scabard. I am a large dude so I can't comment on fit for a smaller gent. I second the Nice 6500. I use mine with a Kifaru GunBearer. I’ll try to dig up a picture of the two in action. For the last 15 years I've had a Coleman Peak 1 synthetic pack frame and really like it. It's been packed 100s of miles and at times had 120lbs+ on it. It is not super rigid like a metal frame and has some flex to it so it will contour a bit. I've tried on a few internal frames but didn't care for the feel, just a personal perference. I think packs are a bit like boots, if you have Danners you think they're great...the best boot there is. When you try Kennetrecs or Meindls you have a new favorite boot. When you step into Lowas you can't believe the difference. I hope we hear from people who have tried several different packs and how they used them and why they think one is better than the other. My experience has been limited to the Peak 1 and welded aluminum frames which I always broke. It doesn't matter what you miss them with. There are a number of options. I've heard nothing but rave reviews from the guys that use Mystery Ranch and other similar high quality framed packs. The pricetag is pretty high and they are overall pretty heavy in weight. The additional weight is an indication of high quality materials and a frame that is built for 100+lb loads. If you don't mind hauling an initially heavy pack that can "comfortably" carry super heavy loads and don't mind spending a lot of $...you may want to consider a Mystery Ranch? My preference has been a top of the line oversized mountaineering internal frame pack. 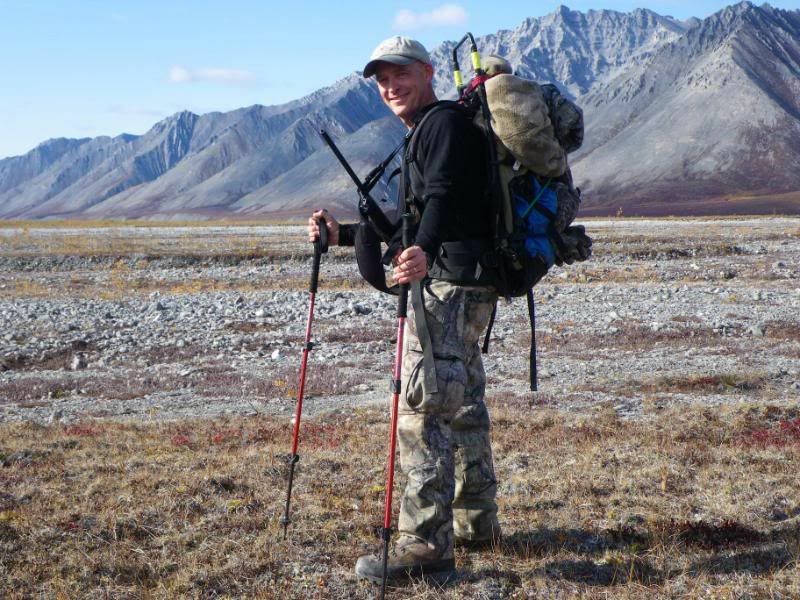 I currently use an Arcteryx Bora 90 and it did great this past year on an AK dall sheep hunt. You can likely find quite a few mountaineering packs on Ebay and elsewhere for a fraction of the price of Mystery Ranch and others...but make certain it is a quality pack...and waterproof! There are a lot of cheapees out there! My sheep hunting buddy this year was using an REI pack and rain eventually soaked through...so waterproofness is a must! I always line my pack with garbage and dry bags to make certain everything stays dry but it is a pain in the rear if your pack gradually soaks through....it likely will never dry out! Never had the problem with my Arcteryx and I've used and abused it for about 20 years! I live in Colo which is a different deal than AK though! Last winter I decided to try an internal frame. I'm also short at 5ft 6in, and I have a bad back. I ordered a Kifaru LongHunter Rendezvous G2 pack. They are custom made to your size. The pack can be removed from the frame to haul meat. The rifle holder is the best I have used. The pack carries the weight on your hips instead of your back. The internal frame rides close to your body which makes it so much easier when you are fighting your way through the nasty stuff. I live in North Pole and would be happy to let you try both on. This pack will haul more than I can carry. Nice to have your rifle at the ready too. Pack with the bag removed. Pack with the bag on. I'm a fan of the extreme outfitter by Cabela's. It's the best frame I've used (my only other experience being an old, old Kelty and my service ALICE pack). The bag could use an opening to the bottom, and maybe an internal divider - thinking apocalypse design could do that for me. Also have a badlands internal that works well as a day pack (probably designed more for multi-day deer hunts - but works for what I use it for). I immediately remove the gun scabard-type things. So no experience with that part of it. Maybe I'll put it back on the outfitter for sheep hunting, we'll see. For packing heavier loads I've always preferred a "homemade" design that was developed from one made by Morris that he use to make out of wood. Dang Joe, that thing looks more like an ATV trailer without the wheels than a pack frame. The dog even looks afraid of it. I'm sure it will get it done. I am vertically challenged at 5' 7". Over the years I have used three different packs for hunting in the Great Land. First was a Camp Trails Omega that worked fine for sheep, goats, caribou, and moose. The suspension wasn't great so I upgraded to a Barney's Hunter pack. This was a big improvement both in size and comfort. I didn't like the rifle carrier that came with the Barney's pack as it took to much effort to take the rifle on and off. I added a rifle carrier that bolts to the frame on one side and I can get to my rifle without removing the pack. This is my go to pack for backpacking and carrying heavy loads. The third pack I purchased was the Eberlestock J-104 because I like the rifle carrier. This pack is like a large day pack that expands into a full sized pack if you kill something. This is a great pack for climbing through alders with the rifle out of the way. That being said I don't like the J-104 for carrying really heavy loads. It is not nearly as comfortable as my Barney's external frame. The J-104 suspension is not adjustable for torso length but the Ebersestock J-107 is. I bought mine at Sportsmans. Good luck with your pack search. I have started using the Mystery Ranch NICE 6500 this year. I like it a lot. 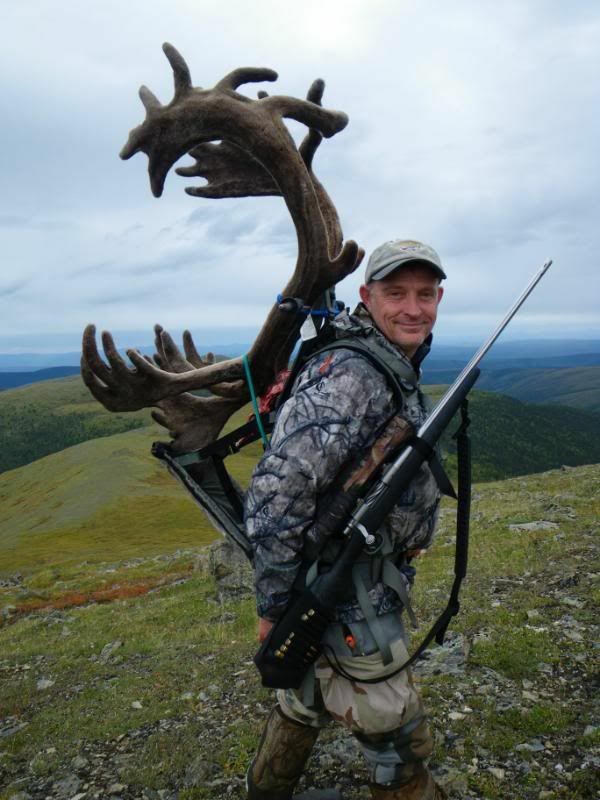 Been on a caribou backpack hunt and 3 goat hunts this year. All required packing 100+ pound loads out and have to say its the most comfy pack I've owned at these heavier loads. But I don't think you can go wrong with a Barney's if it fits ya either. I just like the fit and fell of the NICE internal/external frame. The NICE frame with the 6500 bag is heavy at almost 10 lbs starting weight. But its worth the extra weight for how comfy it rides with heavier loads compared to my Arcteryx Bora 95 that is 2.5 pounds lighter starting weight. Both packs can get it done but I prefer the Mystery Ranch. For hauling awkward items like a bear hides and moose quarters though I think an external frame will always be a better choice. I can still get it done with either my NICE 6500 bag, or loadsling on the NICE frame, but probably not the best tool for the job. However for just hauling goat/sheep capes and meat the NICE 6500 is quite at home in the mountains. Plus with the daypack lid off of the NICE 6500 it compacts to a very low profile daypack itself capable of hauling out some big loads I'm lucky enough to bag something. (not my pic but pretty cool to see how small that big pack can get if need be. Compresses small than the Arcteryx Bora 95 and much smaller than an external frame. Basically you need to find a pack that fits you best and what you plan to mainly do with it. Kifaru, Mystery Ranch, and Barney's packs are all great, just comes down to personal preference at some point. None of which are cheap BTW. Good Luck! Cheap is a relative thing, compared to the right pack those are a steal! I have the cabela's ext guide. I love(d) that pack till I tried on a Barny's while in homer a week ago. Thanks Josh (BucknRut) for spending more of my money! Lol..... The barney's pack weigh's in at half the weight! Quieter, more comfertable and just looked stouter. I'm sold, my Cabela's pack will be sold and replaced. I too, sold my Cabelas (and Kelty) after using the Barneys. You will not be disappointed!. I have yet to try the internals and doubt that I will now that I own a Barneys. and you are set for life. Enough said. Where can I find a Barney's around Fairbanks?